VW brand is on track to "break the 5 million sales barrier" this year, Winterkorn said. MUNICH -- Volkswagen CEO Martin Winterkorn said November was a "very respectable month" in terms of deliveries of vehicles and reaffirmed that sales for this year would come in at more than 8 million vehicles. He said, however, that expectations were more cautious for next year. In a release, the CEO warned that almost all economic forecasts indicated the global economy would cool down quite significantly. Winterkorn added that conservative planning, high flexibility in production and sales as well as continued cost and investment discipline were important for 2012. Last week at the Tokyo auto show, Winterkorn said that along with surpassing 8 million sales as a group in 2011, the VW brand is on track to "break the 5 million sales barrier" this year, which would be a first for Europe's largest automaker. Through October, VW brand had sold 4.24 million cars globally, helped by a 10 percent gain in Europe and an 11 percent increase in China. November sales results for VW Group and brand are due to be released later this month. 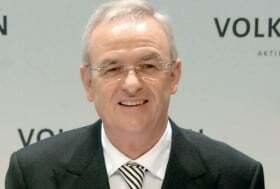 Winterkorn also used his speech in Tokyo to reaffirmed VW Group's goal to become the world's No. 1 automaker by 2018.